36-year-old Van Ga Nguyen (name has been changed to protect identity) comes from North Vietnam. Like thousands of his fellow countrymen, he sought to improve his living standards by working in a European country, in his case in the Czech Republic. He said he had paid $14,000 (€12,350) to a Vietnamese middleman who would help him overcome all bureaucratic hurdles. After several months, he ended up in a Czech poultry factory. But contrary to what had been promised, he had to undertake hard slaughter work for little more than the Czech minimum wage. 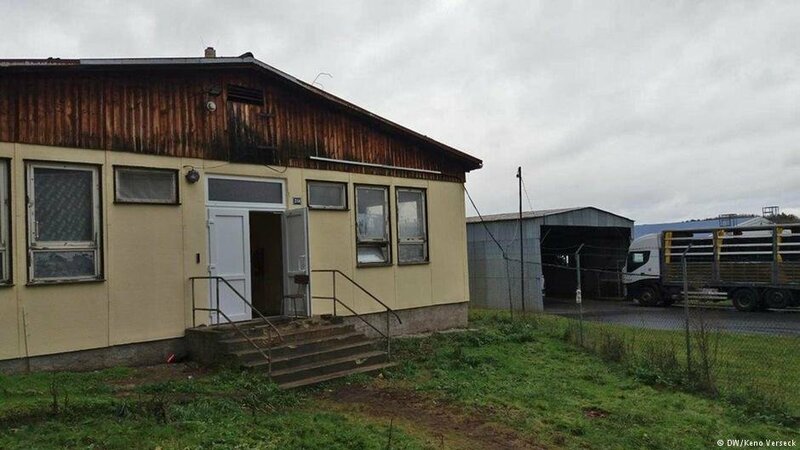 The factory in Mirovice, about 80 kilometers southwest of the nation's capital Prague, is part of the corporate empire built by the Czech Republic's current Prime Minister Andrej Babis, a billionaire and populist politician who appears in public as a strict opponent of migration and illegal immigration. Babis transferred Agrofert's management to a trust fund in 2017, but he is still regarded as a strong man lurking in the background. This is also the conclusion reached in a legal opinion issued by the Czech Pirate Party in January 2019. Babis' propaganda against refugees and asylum-seekers attracted many voters to his party's fold in the last election. In the factories of his holding company Agrofert, however, Babis employs numerous guest workers from non-EU countries, including Vietnam, Ukraine and Mongolia. Without them, Agrofert, like many other companies in the country, would have to contend with extreme labor shortages. They are paid miserably; most of them — just like Van Ga Nguyen — have come to the Czech Republic under highly dubious circumstances. Van Ga Nguyen, a trained welder, is married and has two small children in Vietnam. He wanted to migrate to Europe to earn money as a guest worker for a few years. His plan was to open a small shop in Vietnam after his return from Europe to the Southeast Asian nation. He came into contact with a middleman who promised him "easy work in a poultry factory for about $1,000 a month," says Nguyen. That would have been about five times the average Vietnamese monthly wage. In Vietnam it is hardly possible to get a guest worker visa without help from paid middlemen. Van Ga Nguyen said he had paid, in several installments, a total of $14,000. The money was arranged partly through bank loans and partly by mortgaging his family house, he explained. "At the beginning of 2016, the broker told me that he was going to arrange a visa interview for me at the Czech embassy," said Nguyen. "I knew the consular officer's questions in advance and soon after I received my papers." In April 2016, Van Ga Nguyen started working in the poultry factory Vodnanská in Mirovice. He was one of a total of 40 Vietnamese who worked there at the time. 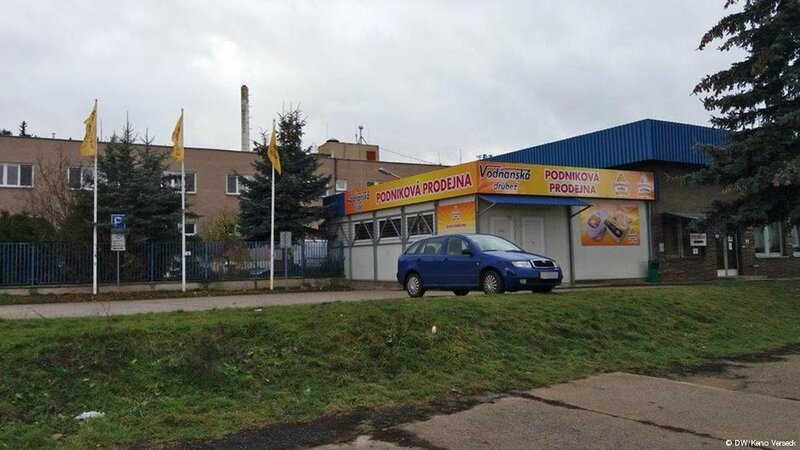 The Vodnanská factory has hogged the headlines in the Czech Republic for years due to its poor working conditions and alleged illegal employment practices. Van Ga Nguyen also experienced this: he stood at the very beginning of the production line and had to hang a thousand live ducks or slaughtered chickens on hooks every day during his shifts. "It was a dirty, sometimes bloody, very unhygienic and poorly paid job," says Van Ga Nguyen. Secretly recorded video sequences from the slaughter room, accessed by DW, confirm his portrayal. He received the equivalent of around €550 a month, at that time slightly more than the Czech minimum wage. After a year, he resigned after demanding a wage increase to no avail. Only 16 of the original 40 Vietnamese now work at Vodnanská. A visit to Mirovice by the DW team in December 2018 confirmed Nguyen's account. Even if the factory itself was out of bounds, DW was able to speak to some workers employed there. Besides Vietnamese and Mongolians, Vodnanská also employs Ukrainians and Romanians, among others. Some of the foreign workers live in a shanty barrack just behind the factory that requires renovation. It is clad in white-yellow painted press board; old linoleum covers the flooring inside and the workers' rooms have only single glazing. There's a communal kitchen and communal toilets — everything makes for an extremely inhospitable and dilapidated setting. A somewhat more distant residential building on a disused factory site, which also belongs to the Agrofert-Holding, looks similarly desolate. 10 Vietnamese live in one of the two-room apartments. Their stories are almost identical to that of their former colleague Van Ga Nguyen. They say they earn the equivalent of just under €600 for toiling for about 200 hours per month. None of them has a written employment contract. As rent for their shabby accommodation, each of them pays almost €100 per month. In this way, even the decrepit building becomes a lucrative side business for the Agrofert-Holding. The working and living conditions of these residents stand in stark contrast to Babis' repeated assertions about how important good working conditions are to him. The billionaire politician has been the subject of criticism in the Czech Republic for years. According to a court ruling, he used to work for the Czechoslovakian state security apparatus and became the owner of Agrofert in the early 1990s under unclear circumstances. The holding company, which now also includes several large German companies, including the Piesteritz fertilizer plant, is the Czech Republic's largest recipient of EU subsidies to date. Babis has been under investigation for some time for conflicts of interest and subsidy fraud. 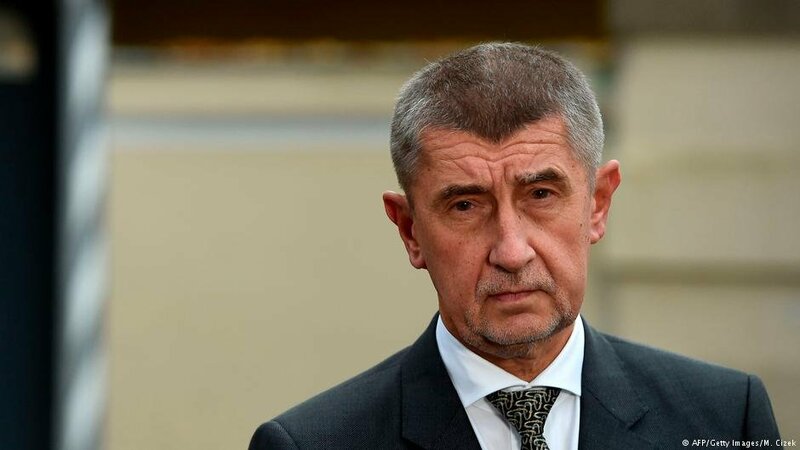 In order to avoid the accusations, Babis transferred control of his corporate empire to a trust fund in 2017, of which his wife is a member of the supervisory board. At that time, Babis served as the Czech Republic's finance minister. A DW query to the Czech prime minister and his office about the circumstances under which the Vietnamese workers came to the Czech Republic and about the working conditions at Vodnanská in Mirovice went unanswered. Agrofert spokesman Jan Pavlu, however, described DW's questions as "grossly insulting and dishonoring." All laws are complied with, Pavlu said, adding that foreign workers would be subject to the same conditions as Czech workers. All had written employment contracts, the spokesperson stressed. Pavlu also denied that Agrofert, with the help of employment agencies, specifically targets and recruits workers abroad. Nevertheless, he didn't explain how the company hires workers. A spokesman for the Czech foreign ministry told DW that there's no knowledge of cases of corruption in the granting of Czech work visas. He also stressed that Czech diplomats and consular officials weren't involved in such practices. Since the summer of 2018, however, the work visa program for Vietnamese has been stopped — "for reasons of national security," it is said. The Czech government hasn't provided any further details. 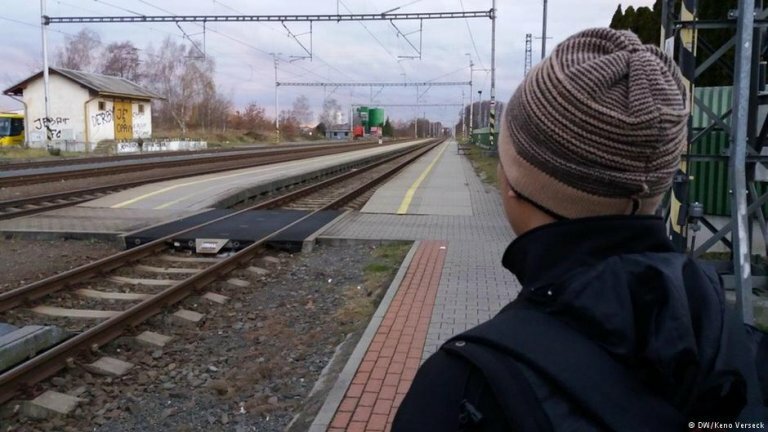 Van Ga Nguyen has been living illegally in the Czech Republic since his dismissal from Vodnanská, as his two-year work visa was tied to his Mirovice job, as is customary with such recruitment. Now he works illegally for a construction company in a small town in northeastern Czech Republic where the meeting with him took place. He still has about $10,000 in debt, he says. He now regrets that he came to the Czech Republic in the first place. Still, he cannot return to Vietnam — where he would never earn enough to pay off his debts. He now wants to try to get a legal job in Hungary or Bulgaria. When asked whether he would again enlist the help of a middleman, he quietly says "yes," with a facial expression of deepest resignation. How much would it cost this time? "$12,000." Van Ga Nguyen looks to the ground and braces himself for the freezing wind.